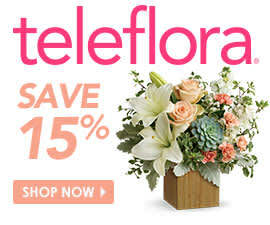 Now, Stacie fulfills her floral fancy with Teleflora. We recently sent her the Teleflora Fun ‘n Festive Birthday Bouquet to add a colorful splash to her day. Our birthday flowers category is filled with a ton of favorites, so any recipient is bound to be drawn in by the alluring scent of a familiar flower. “This vibrant bouquet is truly a celebration in a mug!” she exclaimed of the orange roses and red carnations against a backdrop of green button and yellow cushion spray chrysanthemums with fresh lemon leaf. That means a lot to us, especially coming from such a devoted lover of flowers! It’s important to us that customers get everything they’re expecting and more, so it’s wonderful to hear when we’ve brightened someone’s day. Check out more of Stacie’s feedback – and find out what she did with her latest bouquet – over on Divine Lifestyle.